You are here: Home / Arts & Entertainment / Reviews / At the Movies / Seattle International Film Festival represents! In the last 1600 years, the city of Datong has degenerated from ancient cultural capital to one of China’s most polluted cities. 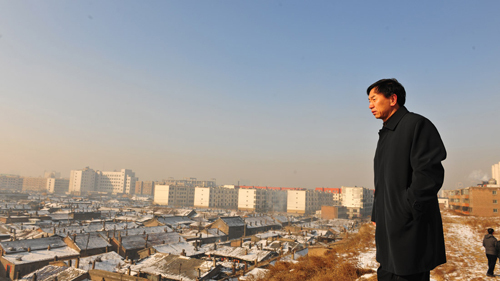 “The Chinese Mayor” follows controversial mayor Geng Yanbo as he strives to revitalize Datong and lessen the city’s economic reliance on coal. In the process, Geng is praised by some and villainized by others, and he is being watched closely by citizens and other officials. The film documents Geng’s efforts and viewers are given a firsthand look into this mayor’s struggles and the tightrope one walks to enact great change under the shadow of the Communist Party. The film peers beyond Geng as the main protagonist and gives a candid, eye opening look at one China’s many underrated cities.